Unplug the harness connector from the CPS. Using your voltmeter set on AC volts and probing both wires in the connector going to the CPS itself as shown in Figure 2 as Connector A, crank the engine over. It won’t start with the CPS disconnected. 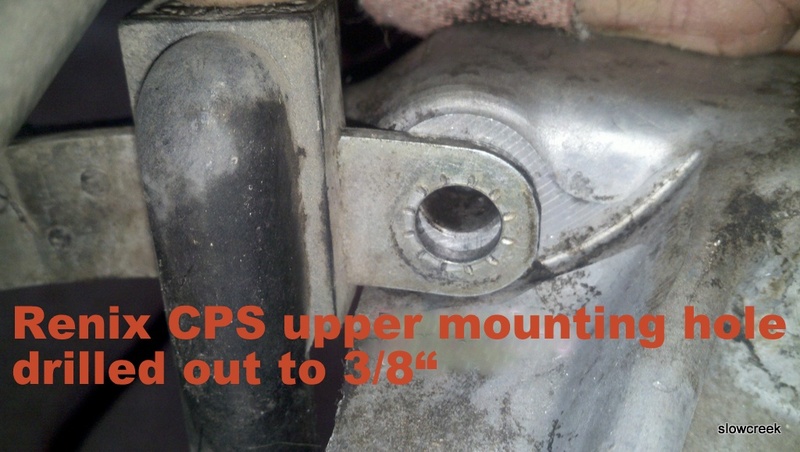 A little trick for increasing the output of your CPS is to drill out the upper mounting hole to 3/8″ from the stock 5/16″, or slot it so the CPS bracket rests on the bell housing when pushed down. Then, when mounting it, hold the CPS down as close to the flywheel as you can while tightening the bolts. Another little tip to save tons of aggravation is to stick a bit of electrical tape to your 11mm socket and then shove the bolt in after it. This reduces the chances of dropping that special bolt into the bell housing. Hey Guy, thanx for your tips! Question: Do you think running a ground wire from the upper mounting hole to the engine or body would improve the signal from this sensor? maybe put it in line with the stator/distributor ground to improve the overall sync? All this assuming that those little wings on the CPS are designed to ground.. It doesn’t need a ground. It sends a signal to the ECU. No. That sensor generates an AC voltage signal on it’s own. Tip 7 will help with generating a stronger signal. Which Tips have you completed by the way? No. I have seen problems when the right bolts are not used. My cps voltage fluctuates between 3.85 and 4.10 even in a no start situation. Change or not change? Meant to say the readings are the same for start/ no start situation. Will my cheapo Harbor Freight meter be able to do this ac volts test? The AC VOLTS section of the dial only shows 750 and 200 positions. Yes, that’s a safety setting internal to the meter. 750VAC will lose the resolution that 200VAC offers. It will work, but a cheap unit might not be very accurate. Is it an analog or digital meter? Its digital. Cen-Tech #90899 So put it on 200 ACV position and try that? Ok thanks alot, I will let you know how it works. Cruiser, thanks for all the help. I measured my CPS and was only getting .3 AC So I replaced it from autozone and got .2, I bought a new one from NAPA and I am still only getting .2 . What should I do next? fuses? I’ve checked battery, alt, starter. – new plugs, cables, ignition coil, oil pressure sender, map sensor. -just did all that rebuild work that we talked about in the other post and now getting crank but no start condition. 89 XJ Laredo 4.0 auto. -only thing is transmission has a small leak.. Still need help with this please. If I’m getting spark does that mean its not the CPS? Yes, if its getting spark the CPS is good. OK, so I am picking up 1.2 amps from the CPS. My Comanche is currently in a no spark condition. Is it possible for there to be too much voltage from the CPS? Also any other suggestions on troubleshooting the no spark condition? I am working my way through the tips ! You should be measuring AC voltage while cranking. I’ve seen 1 AC volt with no issues. If you have an 87 or 88, keep in mind the signal must travel through the C101 connector and that can reduce it significantly before it gets to teh ECU. Tip 2 and 27……. The CPS puts out as much as 5-6 volts at idle-2000 rpm, when running, so higher cranking voltages are good. I just visited your website!!! Yeah, come on out and visit ! So I am still in the crank all day, no start condition. I have recently eliminated the C101 connector, cleaned up the ignition module and replaced the coil. I guess next is the ECU harness, and then maybe I start tracing back from the Spark plug wires for spark? Let’s make sure you’re testing the CPS correctly. Tip 7 gives detailed instructions. Any questions, let me know. Where would you look next if still no spark after confirming voltage exists from the cps? Coil, coil wire, distributor cap, rotor. OK, I will try testing it again. It seemed pretty strait forward to me, is there something people commonly miss when testing?? OK, will do. I recently tried replacing the coil, my distributor cap and rotor are fairly new. I did bend up the button and shined everything up with some sandpaper and still nothing. I plan to hook up a spark tester to the coil next to see if I am getting anything from it. I’m not sure how related this could be, I recently replaced my fuel pump, new fuel pump relay, etc. I am no longer hearing the signature groan when the key is in the on position. I have bypassed the ballast resister, refreshed tail light ground and added a ground as you recommend. I DO hear a slight sound from the pump at the very end of cranking, but that’s it. I plan to borrow a fuel pressure gauge, I guess I will be looking for pressure during cranking as well as just key in the on position. So two questions … Should the pump be active just with the key on? I am wondering if somehow my lack of spark could be related to some issue with my fuel pump/pressure? Also, FYI, so far I have completed tips 1-5, 7, 9, 27 and 29…. Glad to see you’ve done all those Tips. Definitely check the fuel pressure. No spark will not cause no fuel pressure. I have personally seen numerous fuel pump replacement failures if Bosch pumps were not used. Alright, here’s an update we are back up and running!! So, after replacing the fuel pump I was getting no spark and no fuel pump groan. I jumped the relay plug with the key on to find that the pump did in fact work. So the fact that the relay was not receiving a signal for the fuel pump, as well as the ICM not receiving signal for spark lead me to ordering an ECU from JC Whitney. Plugged it in and fired right up! Thanks again for your advice and of course the tips! Also, for the record, I went with a 1990 ECU in my 88 comanche. I am feeling some extra get up and go for sure, but then again I did eliminate the C101 so who knows maybe both are to thank! I have a 1990 Comanche. The cps is located in the cutout on the firewall and is hard to get to. I got some different tools (shorter) and it looks as if I’ll be able to get to ths cps now. I hope. My 87 XJ was knocking real bad. Flex plate replaced along with crank sensor while it was apart. Ran great before, now it will idle but not rev up. Loud rapid backfiring from exhaust and no power in mid to upper rpm, due to running awful. Ordered 2 flex plates from one store and they were different than what came out of it. I ordered 3 more from another store to see if manufactured wrong, they all had the holes stamped too far away from the ring gear. Ordered another one from another mfg. after talking with technician, and measuring the distance from the ring gear to the openings in flex plate. This one matched. Needless to say we compared the old one to this one closely. The mechanic put the new flexplate in and said it runs good…wrong. Still sounds like a machine gun when you accelerate enough to make it downshift. I read all the comments about bad sensors so I get a NAPA sensor, same problem. Remember, this Jeep ran great until I had the flexplate fixed. We tested voltage and were all over the place with .1 to .35 and sometimes to .6 We drilled out the holes to 3/8″ and got .3 to .6. Took it out and removed 1/16″ off the bottom of the sensor bar, now we are getting a steady 2.0 volts. One sensor would allow motor to idle but it would not rev up at all. So I now have the sensor that reads 2.0 volts in it. WHAT HAPPENED? Still backfires like a machine gun. I have heard of faulty new flexplates for Renix models. Maybe try a used one? Thank you for maintaining this website! I have this same problem with a cracked flexplate replacement. My 1988 Jeep Cherokee Laredo 4.0L ran great since 2003 until I took it upon myself to replace the cracked flexplate. The flexplate had cracked recently due to a transmission bolt backing out. A previous owner had replaced the engine and the E12 bolts were not even in it. Please note that other than the engine replacement many years ago, there have been no other modifications made to this Jeep. Anyway, in my backyard, I replaced the flexplate with an Omixada flexplate. That flexplate was defective because the 120 degree shutters were out of place by about 2 inches. I didn’t realize the importance of that fact at the time. As a result, the engine would start and idle fine enough, but once the accelerator was pressed, there was lots of backfiring but the engine rpms were robust. I laid a spark plug on the block coming straight from the ignition coil. It sparks consistently and good spark. Since it will only fire well on two cylinders, it barely moves under its own power. At this point, in your opinion, do you think I need to get a used flex plate, or do you feel that there is some type of new electrical problem that I need to investigate. After the second flexplate, I bought and installed a new CPS and modified it like your page says to get it closer to the flexplate. No change. Like I mentioned, it does run but very poorly. Your advice is much appreciated. I started this process a year ago, and with the number of hours I had devoted to replacing the flexplate twice, I had to put the problem away for awhile to remain sane. This was my daily driver until the flexplate replacement, and hunting season is coming soon. Have you done the ICM/coil refreshing or have a spare one around? I have tried to test the CPS but my meter doesn’t read that low of ac volts. I can try the ICM/coil refreshing too. Thanks for the reply. Holy Moly is right! Back to follow up on my flex plate dilemma! After my last post, I ordered and received a very good looking used original 1988 Cherokee 4.0L flex plate from the rockitopauto eBay store out of Glen Flora, Wisconsin. It turns out the ATP flex plate was made pretty sloppy. The 120 degree openings were in the right place. However, most importantly, the ATP’s measurement from the outer ring gear teeth to the inner ring that the CPS reads was 1/16” more than each of the originals. That is, the originals measured 7/16” from the outer ring gear teeth, and the ATP measured 1/2”. Therefore, even with modifying the CPS to get closer to the flex plate inner ring, the ATP ‘s inner ring was still too far to get a reliable signal to the ECU. Thankfully, the original from eBay fired right up! I was truly relieved. After putting everything back together and replacing all of the spark plugs for good measure, the Cherokee sounds just like it did before I started all of this a year ago. I hope this follow up helps someone. I have read many threads online dealing with flex plate replacements that didn’t get resolved. In retrospect, the Omix ADA plate might have been o.k. if the 120 degree openings had been in the right places. Also, yes, the flex plate bolts onto the crankshaft only one way. And, yes, you can replace the flex plate in your back yard without pulling the transmission all of the way off. Use the two 12”-14” pieces of 7/16” threaded rod with nuts to replace the transmission to engine bolts method and a floor jack under the crossmember. It can be done because I did it three times by myself with this exercise! It ain’t fun, but it is possible. Thank you Cruiser 54 for all of the tips that I will be working through shortly! John, thanks for the update. You made my day. Cruiser, I just finished going through 3 CPS units from NAPA. My old one was bad( quit on me while driving in traffic) . Two standard units,one premium. one standard gave .1vac, the other gave .2vac, the premium wavered from .2 to .3 vac and once gave .4vac. None would start the engine, the premium started once but the engine didn’t rub well at all. The guys at NAPA said none of that had ever happened before and it sounded like there was maybe another problem. Have you got any ideas as to what the problem might be? This is a 1990 Jeep Comanche Eliminator. I would appreciate help asap sir. Sorry for the late reply. The website is supposed to notify me as soon as a comment is made. didn’t do it til today. I just went through the same thing with a pile of new CPSs that came with a Comanche I bought. Have you done the drill mod to move it closer to the flywheel? I don’t know if my last post got thru so here goes again. I have tried from NAPA two CPS units, got .2 and .1 VAC, then a premium CPS and got .2-.3, one time .4. The store guy said it sound like I have another problem. With the CPS unplugged, what else could it be? This is a no start situation. Help! Have you ever tested at the ECU to see if it’s getting the signal? Check at C1 and D1 terminals. Also look around your CPS connector and see if there is one just like it nearby. There was a factory fix to put another CPS patch harness in and I have seen where the mechanic didn’t cut out the old one. Then, someone down the road accidentally plugs his cPS into the dead connector. Looking to see how many more comments there are. As explained earlier, I got NO notifications of anyone’s posts/comments here until today. Sorry. Cruiser, if the cps is disconnected, is there anything else that could affect the voltage reading. I have gone through 3 sensors from NAPA and none recorded more than .3 vac. The guys at NAPA said they had never seen one bad out of the box like that and it seemed that there was another problem. What else could it be? A dirty C101 connector if it is an 87 or 88. I put the premium CPS from NAPA in my Comanche, it has the holes drilled out. It still shows .1 vac. that’s the third one. Seems to me there is no quality control anymore. All they need is a test stand at the factory to test each one as it comes off the line. This is really crazy, you could go through a lot of money and time getting one that works. I have a horror story on CPSs. Tried 5 on a Comanche I bought and none would put out any voltage. I had to modify the crap out of one to get a signal. I modified the CPS as your tip and someone else’s tip said and it still wouldn’t start. Then I looked at the coil, all contacts were corroded and dirty. cleaned them all, used Oxgard on them and it fired right up several times in a row! Woohoo!!! Glad to hear it. Hey Frank. What scale are you using on your meter when testing? Should be AC voltage while cranking. Glad to hear it. 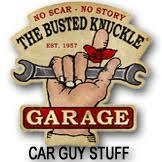 You can find ECUs in the junkyard. As for an MT2500, here’s an affordable alternative. Would the CPS be responsible for a start to stall or an intermittent stall? I’ve had 3 different cps sensors in there now with no reading at all, even with modifying them. One of them did show .5 volts for about a week but still had intermittent stall and start/stall issues before it went back to 0. You have to wonder about the quality of these replacement parts. So, it quit running when it began reading 0? Hello cruiser, matt rowe from jeep forum. you said in a post that you modified your cps sensor to put out .8 ac volts. Could you enlighten me on the mod. Also, mine which is a 90, is the round style, my sons a 96 xj, has the square one. Now with that said, do the cps after 92 are better than the early versions, if so, are the wires the same, so i could file the bell housing and make a later one fit, or is the housing able to fit a newer style in it, if the wires are identical, the plug that is. I have done about 4 of your tips, and have to do the tb clean, injector upgrade(bought them already), I am going to do the iac motor. Have done all ground refresh except fuel pump. They work differently Matt. Renix is one style, the later ones a different style. How much is your current one putting out? Have you done my CPS bolt hole mod? I have not done the bolt hole mod. I just put in a new one from Auitozone, a Durolast. I will check the voltage tomorrow and post back. It is running and starting fine now. But my son drove it to work for a coup[le months, then one day, no start. I picked him up from work, then we went back next morning and it fired right up. Si bought this one in there now. I am going to buy one from napa, and make a tool and keep as spare. Probable weld a long extension, to a wobly socket, so i can change out the sensor with ease. I’m having what l believe is a CPS issue but, l am a little confused. When testing the CPS l am getting 0.00 volts (yes in A/C mode) but the engine will start, but it will not rev beyond an idle. I do have resistance through the CPS. So, l guess the question is As long as the CPS is in place and a part of it’s own circuit, is it just starting and running on base timing? It could be a weak CPS. Timing is controlled by the ECU. You’re doing a great job. stick with it. Hey thanks for all the wonderful information you are sharing with us! 88 xj 4.0 went ahead and ran a test on original cpsbefore swapping. Also ran a test after replacing with a new one from oriellys. my ac reading came out the same. 3.5. Any thoughts? Are you having CPS issues? 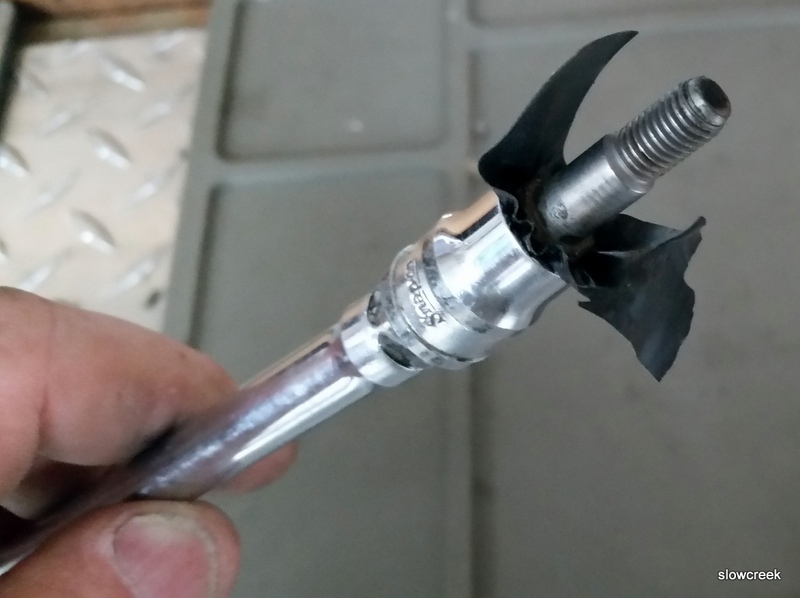 I was thinking about cutting the plug out, and using water proof spade connectors. When i was looking at the contact pins in the plug from the cps, one was silver, and the other looked tarnished. Bit i have gone through no water, and we have had no rain. A spade as you know scrapes when you remove and reinstall. The cps i am working with is only 6 months old, a durolast. You can tweak the original connectors to have better contact using a small pick. My engine would run fine for the first 2 minutes of driving then it would start missing and backfiring badly. Discovered the CPS wiring was touching and shorting out on the exhaust manifold. Installed a new CPS from Napa and only getting .2 – .3 volts out of it. Kind of hesitant to modify it to see if I can get more voltage just in case I have to return it. The wire routing is very important. So, it’s installed and putting out .2 to .3 AC milivolts? Starts and runs? If so, you could just leave it and hope for the best or modify it. What happened to the old CPS? You could repair the wiring with solder and shrink tubing and use it….. Going to drill it to see what that gives me. Hard to say. If it runs with an old drilled one, go for it. Running it with the distributor indexed timing light is showing firing at about 8 degrees from zero. If drilling this one gets me the desired voltage output would you also recommend advancing it? If you’re up to it, go for it. Thank you for your responses. Drilling it brought it up to .5 volts. I will take it back off and modify it. Hi Cruiser. I put a Renix 4.0 in my 84 CJ7 in 2005, recently decided not to start I believe CPS is problem. It has a speed sensor on the front of the engine, under water pump, reading notches on small wheel. It doesn’t have a rear (bell housing) CPS. This might be a version of this engine that is less known, not sure. Have you heard of this setup? It’s aftermarket. It was designed for applications such as yours. I would think it’s output could be tested according to my Tip on testing a factory one. It has to put out .5AC volts. Thanks cruiser I will test the output. Ordered new replacement from Hesco which is different design all plastic. This one is metal with pivot to adjust position it must be really old. I suspect it’s going bad as after 10-15 from cold start the engine just dies when warms up. I’ll test this sensor and try replacement, if not this maybe fuel pump is on it’s last leg. Why not test it and adjust it if possible? Have you indexed the distributor? This is gonna be somewhat a process of elimination.